The first account of the concentration camps that I can remember reading was an essay by Hannah Arendt in the July 1948 number of Partisan Review when I was a sophomore in college. What I now mainly recall about my first reading of this essay, “The Concentration Camps,” is that I was greatly put off by it. Expecting, somewhat fearfully, to be given a gruesome account of life (and death) in the camps, what I encountered instead was a succession of apodictic abstractions and pronouncements that seemed, to my undergraduate mind, unduly eager to place the whole subject beyond the reader’s ability to comprehend it. Innocent as I then was about the details of the camps, this approach nonetheless struck me as an odd way to deal with a human catastrophe on an epic scale. The horror of the concentration and extermination camps can never be fully embraced by the imagination for the very reason that it stands outside of life and death. The inmates are more effectively cut off from the world of the living than if they were dead, because terror compels oblivion among those who know or love them… . The fear of the absolute Evil which permits of no escape knows that this is the end of dialectical evolutions and developments. It knows that modern politics revolves around a question which, strictly speaking, should never enter into politics, the question of all or nothing: of all, that is, a human society rich with infinite possibilities; or exactly nothing, that is, the end of mankind. Exactly what it could mean for any human experience to stand “outside of life and death” was never explained. Nor was Hannah Arendt’s own response to early accounts of the camps ever in danger of succumbing to “the end of dialectical evolutions and developments.” On the contrary, in her case it marked the beginning of an illustrious career as a connoisseur of the totalitarian “dialectical evolutions and developments” that led to the camps. Two other aspects of “The Concentration Camps” essay are also worth noting. One is Arendt’s bizarre insistence on downgrading the importance of eyewitness accounts of the camps. If it is true that the concentration camps are the most consequential institution of totalitarian rule, “dwelling on horrors” would seem to be indispensable for the understanding of totalitarianism. But recollection can no more do this than can the uncommunicative eye-witness report. In both these genres there is an inherent tendency to run away from the experience; instinctively or rationally, both types of writer are so much aware of the terrible abyss that separates the world of the living from that of the living dead, that they cannot supply anything more than a series of remembered occurrences that must seem just as incredible to those who relate them as to their audience. There was ample reason to doubt that any of this was true even before the publication of Solzhenitsyn’s Gulag Archipelago in the 1970s, but with respect to the Soviet camps, anyway, the claim of an alleged “tendency to run away from the experience” is scarcely credible in the light of the abundant first-hand testimony to the contrary. The author of The Gulag Archipelago was himself, after all, a zek, as inmates of the Soviet camps were called, and he was also an assiduous compiler of other zeks’ personal accounts of their servitude and suffering. What was true, however, was that the West wasn’t especially eager to hear about the Soviet camps, and that for a long time the Soviets were remarkably successful in preventing the circulation of information about them. Even the word “Gulag” does not appear to have made its entry into our English-language dictionaries prior to the early 1970s, almost two decades after the death of Stalin and half a century after the creation of the Gulag itself. It can no longer surprise us, then, to find that another curious thing about Hannah Arendt’s 1948 “Concentration Camps” essay is that it paid only the most cursory attention to the Soviet camps even though they had been in existence far longer than their Nazi counterparts—since, indeed, the Bolsheviks’ seizure of power in 1917—and commanded vastly greater resources, populations, and territories. The Cold War produced James Bond and thrillers, and cartoon Russians of the sort who appear in Rambo films, but nothing as ambitious as Schindler’s List or Sophie’s Choice. Steven Spielberg, probably Hollywood’s leading director (like it or not) has chosen to make films about Japanese concentration camps (Empire of the Sun) and Nazi concentration camps, but not about Stalinist concentration camps. The latter haven’t caught Hollywood’s imagination in the same way. [N]ot all of our attitudes to the Soviet past are linked to political ideology… . Many, in fact, are rather a fading by-product of our memories of the Second World War. We have, at present, a firm conviction that the Second World War was a wholly just war, and few want that conviction shaken. We remember D-Day, the liberation of the Nazi concentration camps, the children welcoming American GIs with cheers on the streets. No one wants to be told that there was another, darker side to the Allied victory, or that the camps of Stalin, our ally, expanded just as the camps of Hitler, our enemy, were liberated. To admit that by sending thousands of Russians to their deaths by forcibly repatriating them after the war, or by consigning millions of people to Soviet rule at Yalta, the Western Allies might have helped others commit crimes against humanity would undermine the moral clarity of our memories of that era. No one wants to think that we defeated one mass murderer with the help of another. No one wants to remember how well that mass murderer got on with Western statesmen. “I have a real liking for Stalin,” the British Foreign Secretary, Anthony Eden, told a friend, “he has never broken his word.” There are many, many photographs of Stalin, Churchill, and Roosevelt all together, all smiling. This is why The Gulag Archipelago and Solzhenitsyn himself met with such resistance and hostility in this country after his expulsion from the Soviet Union. “Soviet propaganda was not without its effect,” writes Ms. Applebaum. “Soviet attempts to cast doubt upon Solzhenitsyn’s writing, for example, to paint him as a madman or an anti-Semite or a drunk, had some impact.” Let us never forget the infamous passage in George Steiner’s New Yorker review of The Gulag Archipelago in 1974: “To infer that the Soviet terror is as hideous as Hitlerism is not only a brutal simplification but a moral indecency.” Nor was Steiner alone in his hostile response to Solzhenitsyn’s revelations. The late Irving Howe, who had found so much to admire in Leon Trotsky, took to the pages of The New Republic to offer Solzhenitsyn moral instruction on the correct way to think about socialism. Has anything really changed in our public comprehension—or incomprehension—of the Gulag since the collapse of the Soviet Union and the final dismantling of the Soviet camps? We shall all be in a better position to answer this question when we see what kind of critical reception is accorded to Ms. Applebaum’s extraordinary account of the Soviet camps. Or, what is even more important, what impact that reception may have beyond the sphere of the book-review pages of our newspapers and magazines—in the realm of media opinion and public awareness. For make no mistake: Gulag: A History is a landmark achievement in the writing of modern history. Until some work of a comparable size is devoted to the millions who have perished under Communist rule in China, this book will remain a model for what is, in effect, a new historical genre: the history, that is, of what may rightly be called an anti-civilization on a colossal scale whose sole claim to distinction has been the degradation and destruction of millions of innocents. In the anti-civilization of the Soviet Gulag in the years 1929 to the death of Stalin in 1953, it encompasses some eighteen million people, four and a half million of whom never returned. Gulag: A History is not, then, to be mistaken for a comprehensive history of the Soviet Union; it is rather a history of Soviet society’s most distinctive institution, described by Ms. Applebaum as the vast network of labor camps that were once scattered across the length and breadth of the Soviet Union, from the islands of the White Sea to the shores of the Black Sea, from the Arctic Circle to the plains of central Asia, from Murmansk to Vorkuta to Kazakhstan, from central Moscow to the Leningrad suburbs. Literally, the word GULAG is an acronym, meaning Glavnoe Uppravlenie Lagerei, or Main Camp Administration. Over time, the word “Gulag” has also come to signify not only the administration of the concentration camps but also the system of Soviet slave labor itself, in all its forms and varieties: labor camps, punishment camps, criminal and political camps, women’s camps, children’s camps, transit camps. Even more broadly, “Gulag” has come to mean the Soviet repressive system itself, the set of procedures that prisoners once called the “meat-grinder”: the arrests, the interrogations, the transport in unheated cattle cars, the forced labor, the destruction of families, the years spent in exile, the early and unnecessary deaths. 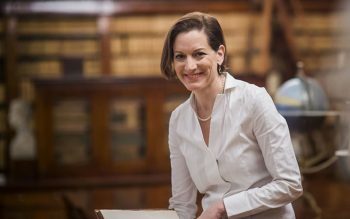 It is Ms. Applebaum’s distinctive accomplishment to have traced the tortuous history of this anti-civilization in scrupulously documented detail from its Bolshevik beginnings to the Great Terror, the Second World War, the early years of the Cold War, the death of Stalin, the Thaw that followed, the era of the Soviet dissidents, and the final collapse of the Soviet regime. 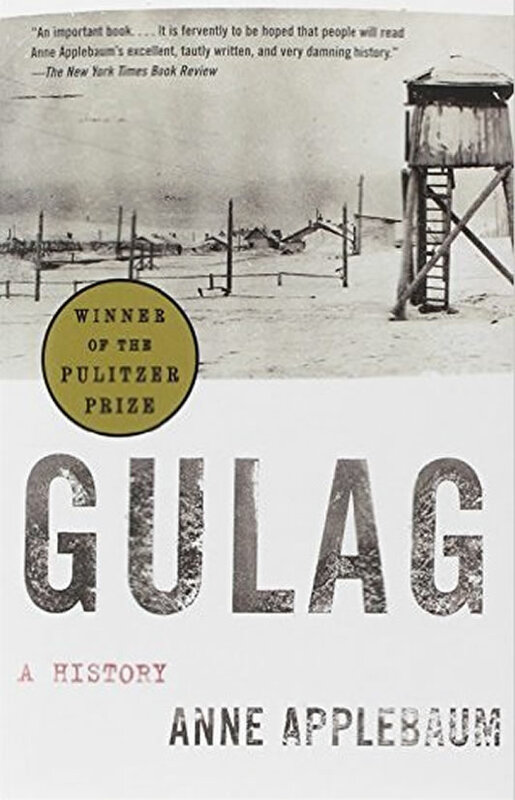 And while Gulag: A History is written throughout in a prose that is exemplary for its clarity, its gravity, and its moral candor, it must also be acknowledged that the book is a long and difficult read—difficult, above all, because of the feeling of outrage and despair it induces in the reader. I could not myself get through the chapter devoted to “Women and Children” without pausing to wipe the tears from my eyes more than once. And that is by no means the only section of the book to induce such a response. For Ms. Applebaum lavishes a great deal of attention on what may be called the social and domestic history of the Gulag—the food that was provided the inmates, the bedding, the hygiene (if it could still be called by that name), the sexual customs and even the romantic attachments that developed in the camps. Worst of all, perhaps, are the accounts of the inhuman work schedules demanded by what she nicely describes as the Camp-Industrial Complex in the Soviet workers’ paradise. It is an immense achievement to have written this book. What now remains to be seen is whether our own society, which for so many decades has refused to acknowledge the moral enormity of the Gulag, is even now equal to the challenge of giving this achievement its due.